Born September 8, 1928 in Suzhou, China. Passed away peacefully, at age 89, in Seattle, WA on July 3rd, 2017. John grew up in Shanghai, China and survived eight years of Japanese occupation during WW II. He attended the prestigious St. John’s University (Shanghai) and in 1948 left family and home for Taiwan, fleeing the Communist regime. He finished his undergraduate education in 1952 and received a B.A. in Economics from Taiwan University in Taipei. He served as an Artillery Lieutenant in the army of the Republic of China. He then came to the U.S. as a foreign student in 1953. He received his M.A. from University of Kentucky (Louisville) and then met and married Wenchiang Liang in 1959 before completing his doctorate in Economics from the University of Illinois (Champaign-Urbana) in 1960. Moving to Seattle after accepting an appointment to the University of Washington, he and Wenchiang began their family with the births of two sons. 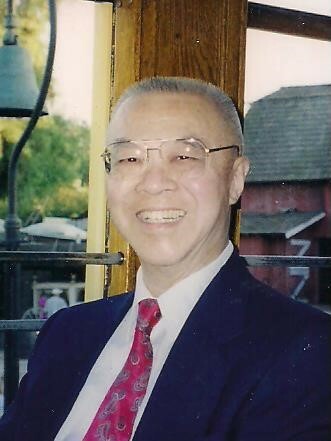 John devoted his professional life to teaching Applied Business Statistics at the University of Washington, Foster School of Business, from 1960-1996 except for a 2-year hiatus when the Asia Foundation invited him to Taiwan to utilize his acumen in economics to aid Taiwan’s growing economy. His statistical abilities were utilized by a wide range of industries from the Olympia Brewing Company for marketing analysis to the Seattle Police Department for staffing projections. He studied history and traveled extensively to all corners of the world to see firsthand what he had researched for decades. He was keenly interested in investing and personal finance and shared his knowledge freely. He also had a steady and gifted hand for Chinese calligraphy. One of his works is now on permanent display at the Group Health (now Kaiser) emergency clinic on Capitol Hill in Seattle. John also enjoyed volunteering his time as a docent at the Seattle Asian Art Museum. His knowledge of fine arts and calligraphy and his appreciation of Chinese history and culture were fully utilized by visitors and staff alike. He is survived by his wife Wenchiang Liang (Seattle), and two sons, Dr. Andrew Chiu (Karen Chiu) of Duluth, MN, and Michael Chiu (Kari Gilje) of Fall City, WA; four grandchildren, Alexa and Marc Chiu, Duluth, MN; Analise and Kristina Gilje Chiu, Fall City, WA; and a sister, Liguo Chiu, Shanghai, China. Dear Wen and family, Thank you for sending this obituary and fine photo of John during what must have been an exceedingly happy time. His smile is sincere and natural and his intelligence and humanity shine through. We grieve with you for your great loss and we smile with you for the wonderful life you shared. Dear Wenchiang: Let me type in English because my Chinese-script software is not working properly. Please accept my deep condolences for John's passing. Though the sad event might come as a relief from his years' confinement in a nursing home, I still feel it is a tremendous personal loss. In our Champaign-Urbana years, John was a friend (partly as a roommate) unfailingly giving me help in everything of interest to me, from learning German and French to doctoral studies, from music appreciation to all sorts of recreational activities. We also shared similar views on current affairs. Since we left Illinois, I recall fondly our visit with your family during the Seattle World Fair and you took us to Mount Rainier for a panoramic view of the mountains and valleys all the way to Seattle. On another occasion, you and your parents and John paid us a visit while we were in Michigan. Subsequently, we met only briefly a couple of times. And the last time I saw John, he was still in full spirit, peeling a plate of fruit for Julia and me. I had occasion to exchange letters with Andrew, and I greatly admire him for his devotion to John, giving him a clean shave every time he saw his dad. You might have noticed, Andrew wrote an article on John's eyewitness account of a Flying Tigers' air raid in Shanghai during the war years that was published in The ELM. I'll let N. R. Chen know about John's passing. David Chang passed away several years ago. Julia, currently in a therapy center because of an accident, is well enough to come home tomorrow. She joins me to send our warmest regards to you. God be with each of you as you adjust to life without your very wonderful father. He was a brilliant and accomplished man. Dear Wenchiang: I was deeply saddened by the news of John's passing. As you may remember, I shared the same room or apartment with John, together with Hunh-chao Tai and Tian-tong Tsui, for about five years at the University of Illinois. We had many, many fond memories of living together under the same roof. After I left the school in 1960, I saw John a few times in Taiwan in 1967 and 1968. The last time I saw him was in 1999 when we participated in the Taida Reunion in Canada. For nearly a week, we got together frequently to reminisce our good old days in Champaign-Urbana. Afterward, we corresponded a few times. In recent years, Hung-chao usually kept me informed every time he heard about John, as we were concerned about his health condition. Please accept my deep sympathy and warm regards.